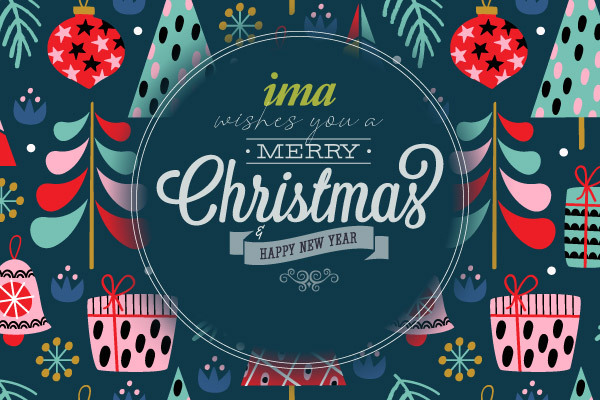 Merry Christmas and Happy New Year from ima! In celebration of this year's Holiday Season and to allow our staff to spend time with their families and friends, ima will be in low power mode on December 24th and December 25th for Christmas as well as December 31st and January 1st for New Years. ima will be open on December 26th through the 28th and will resume normal business hours on Wednesday, January 2nd. We hope you have a wonderful and safe Holiday Season!